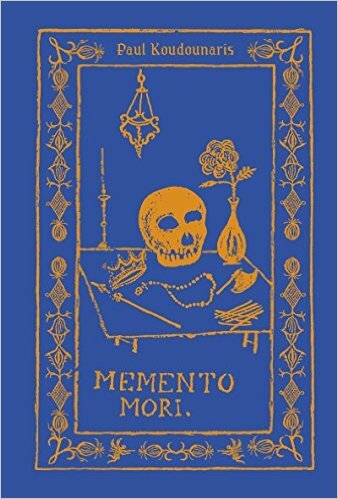 This year I am writing a gift review of Memento Mori, a big, beautiful coffee-table-style art book about reminders of death, or the dead, across cultures and years. Today’s teaser sets up the concept that “our” (modern, Western) cultural approach to death is not the only one. Leaving the village, I asked the guide if it was considered unusual to keep mummies in the home. His response was unforgettable. No, he did not find it unusual, because when he was a boy, he and his brothers slept in the same bed as the mummy of their grandfather. The author is visiting Tana Toraja, a region in Sulawesi, Indonesia. As he’ll show, their practice of embracing the dead, preserving them and keeping them around as respected or beloved family members, is actually common in world history. Koudounaris’s informative writing is fascinating, but I admit the real feature here is his breathtaking photographs of memento mori. Stick around for my review to come around the holidays.